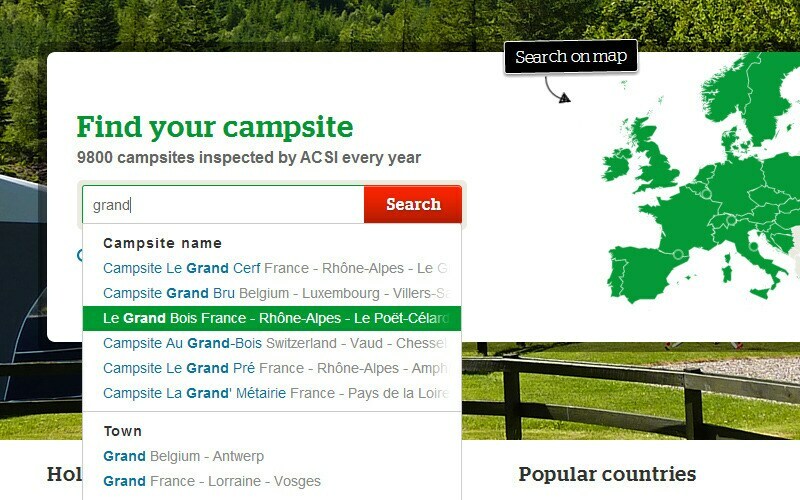 The database that is linked to Eurocampings.co.uk contains details of more than 9900 European camp sites. 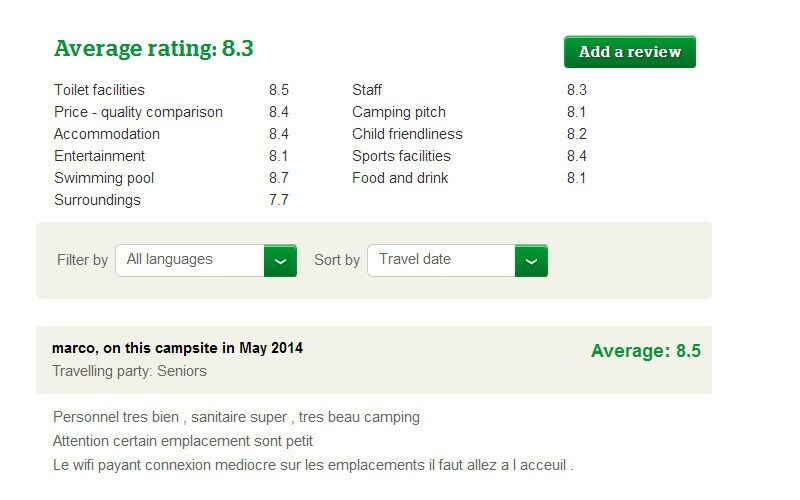 Thanks to its simple search functions you can select camp sites that meet your personal requirements. You can choose from more than 200 amenities. You can search using the map, by place name or by camp site name. You can book a camping pitch direct and online at various camp sites. For the other camp sites you can send an information form or a reservation request. In both cases this will automatically be sent in the native language of the camp site owner. So you won’t need to translate it yourself. In addition to the objective information you can also consult camp site evaluations to help you make your choice. And of course you can submit your own evaluation simply and easily after your holiday, and in so doing help other visitors. 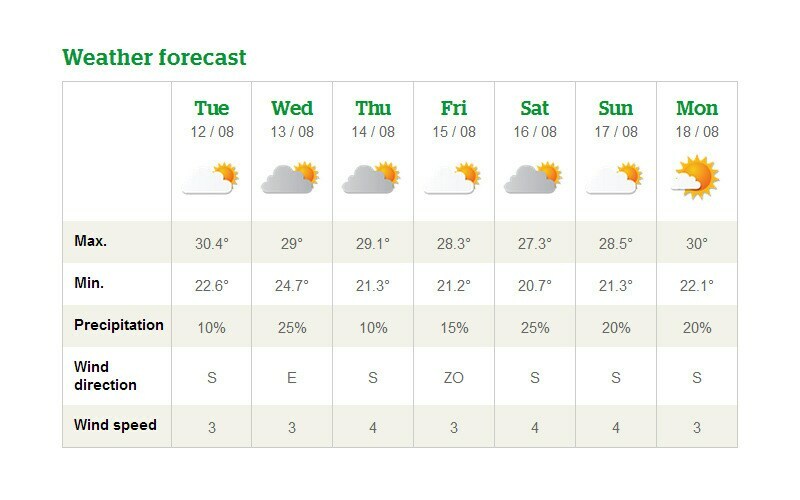 As from 2010 it is also possible to view the weather forecast and climate statistics on Eurocampings.co.uk. So you can see at a glance in which month you can expect the best weather in and around your favourite camp site. That makes choosing even easier. 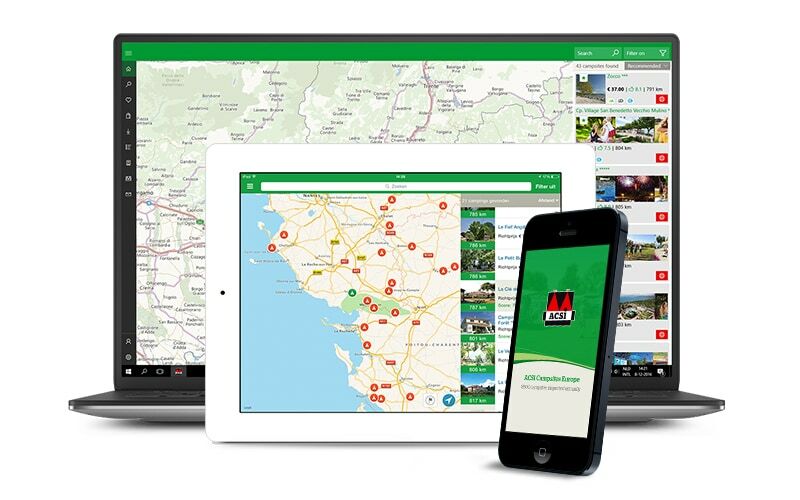 Of course you can also consult Eurocampings.co.uk on your mobile device. The website has been made fully responsive, which means that it will change its size according to the dimensions of your screen, but the texts will be just as easy to read and the site will be just as easy to use. 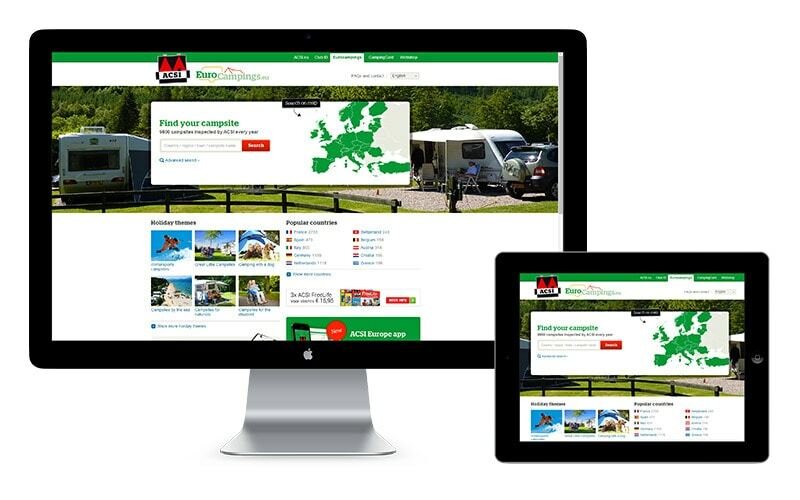 It doesn’t matter if you are using a laptop, tablet or mobile phone to visit Eurocampings.nl, the site will always be displayed clearly and correctly. 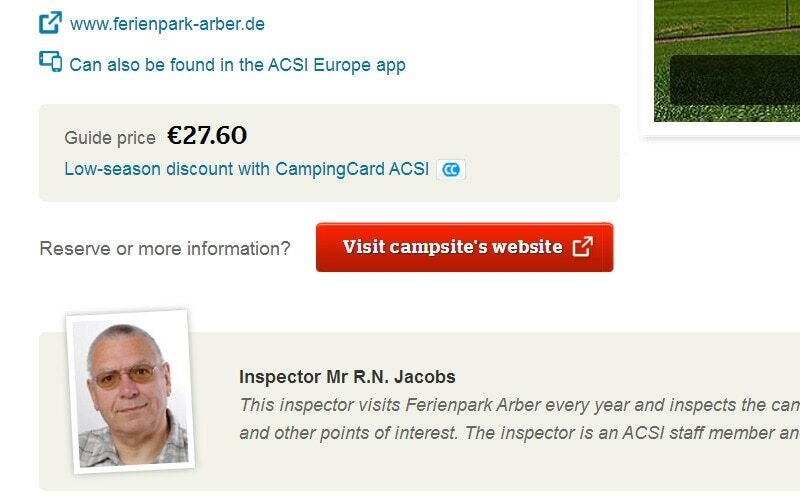 If you would like to be able to access ACSI’s information on your mobile device while you are offline (without an internet connection), you can download our ACSI Campsites Europe app with information on more than 8200 campsites Europe or the ACSI Great Little Campsites app with 2000 small and easy-going campsites. Maps, campsite details and pictures will be available to you anytime and anywhere! 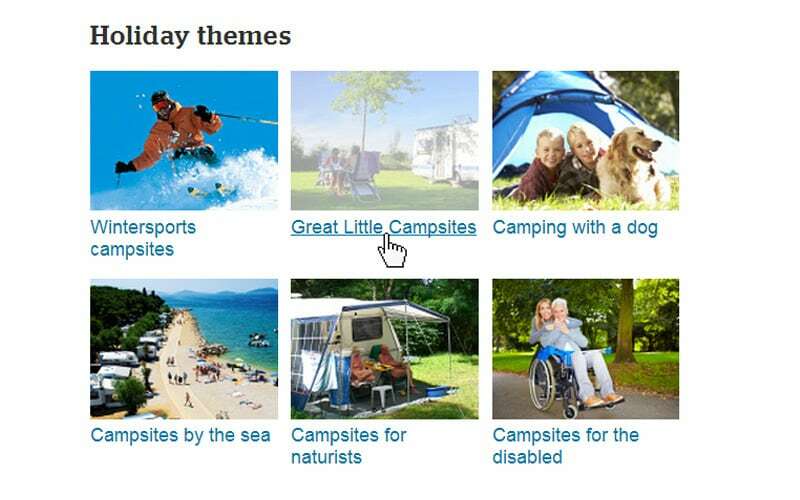 At the end of 2010 a new search function was presented: Great little camp sites. Especially for the camper who is looking for quiet, friendly camp sites with a maximum of 50 touring pitches. 9 million visitors a year. Take advantage of Europe’s biggest camp site search engine’s success with a joint promotion, an affiliate partnership or an advertisement on the site or in a newsletter. Contact us for an opportunity to exchange ideas, the possibilities are almost endless. For more information on advertisements and affiliate partnership please use the contact form. For more information on joint promotions please contact the Marketing & Sales department (+31 (0)488-452055). Eurocampings.co.uk can be the link between you and millions of camping enthusiasts, both here and abroad!